It’s no secret a marriage that works requires a lot of work from both spouses. A great marriage is built on the foundation of a common faith and vision, shared values, and effective communication strategies, along with a lot of having fun together. Jim and Jerolyn offer husbands and wives a purposeful tool they can use to build a healthy, satisfying, long-lasting marriage through a Legacy Marriage Trip. 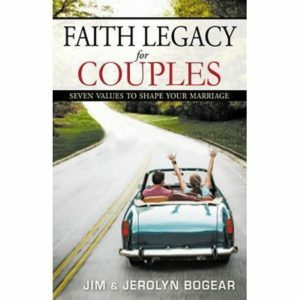 Learn to plan a Legacy Marriage Trip to strengthen your marriage.